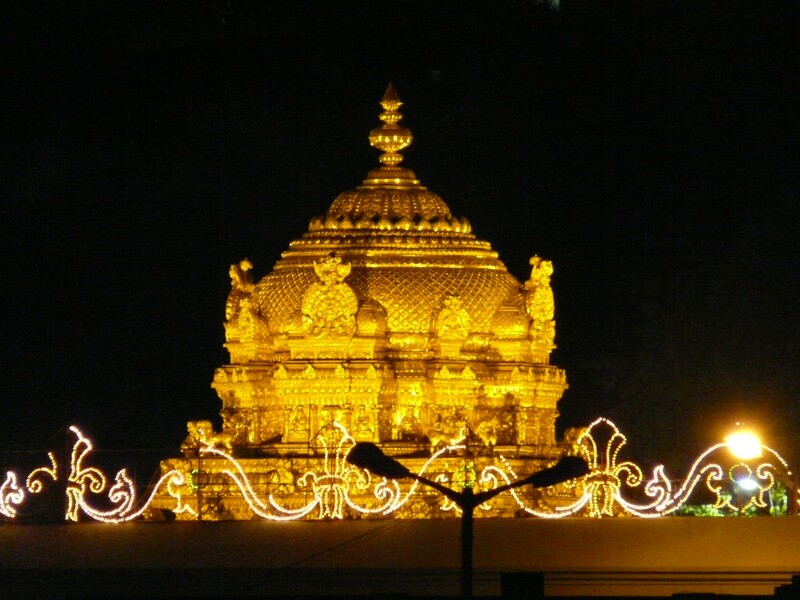 Although there are many descriptions found in the Rig Veda and the Ashtadasa Puranas (The Eighteen Hindu Legends written by Sage Veda Vyasa) about holy Lord Sri Venkateswara and His existence on the Venkatachala Hills,a historical evidence to the same is however found only in the ancient Tamil literary masterpiece called Silappadikaram (Tamil: சிலப்பதிகாரம்).. Written in 2nd century BC by a Jain poet from Kochi called Ilango Adigal, Silappadikaram is an amazing work of art par excellence that commands huge respect,even today,from all the people of the Tamil Nadu state..Silappadikaram is also considered one of the ‘The Five Great Epics of Tamil Literature’ which was later republished in English language as ‘The Tale Of An Anklet’.. Referring to Lord Venkateswara as “Thiru Vengada Mudaiyavar” in Silappadikaram,the Jain poet Ilango Adigal,in his epic work,had given the following wonderful description of the holy Lord Sri Venkateswara and His existence on the Venkatachala hills..
Additionally there are also a few references to VENGADAM in a few other major Tamil literary works… In Tolkāppiyam (Tamil: தொல்காப்பியம்), a 2nd century work on the grammar of Tamil language, there’s a description that clearly states.. There are also some major ancient Tamil Sangam literature works like Akananuru (Tamil: அகநானுறு) Purananuru (Tamil: புறநானூறு) Kuruntokai (Tamil: குறுந்தொகை) that very emphatically say.. Even the ancient Tamil stone inscriptions that are later discovered by TTD are very clearly referring to the area of the Venkatachala hill range as “Thiru Vengada Kottam”.. The word VENGADAM is in usage in Tamil language for over several centuries now and is equivalent to Sanskrit word VENKATAM..
Another Sanskrit word SRI is used in Tamil language as THIRU and this Tamil usage very clearly states that all the ancient Tamil literary personalities in their works have referred to Sri Venkatachalam as Tiru Vengadam and referred to Lord Tiru Venkata Natha or Sri Venkateswara as Thiru Vengada Mudaiyavar. Based on the above famous literary references we may now very vehemently conclude that..